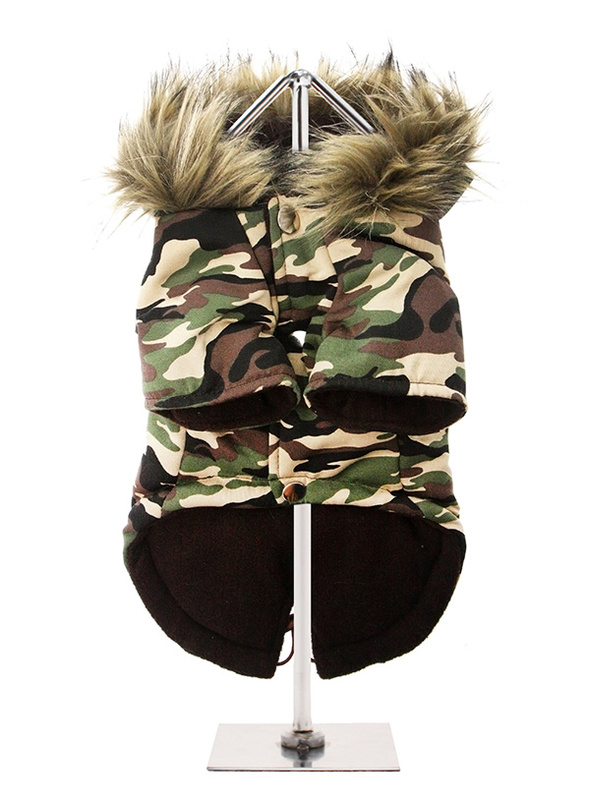 Our Forest Camouflage Fish Tail Parka pays homage to the guys and girls who made the parka popular, the Mods. 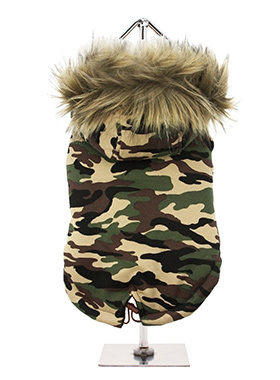 Perfect for the dog that likes a bit of rough and tumble, a quality, multi-layered piece of clothing that will keep the heat in and the cold out. 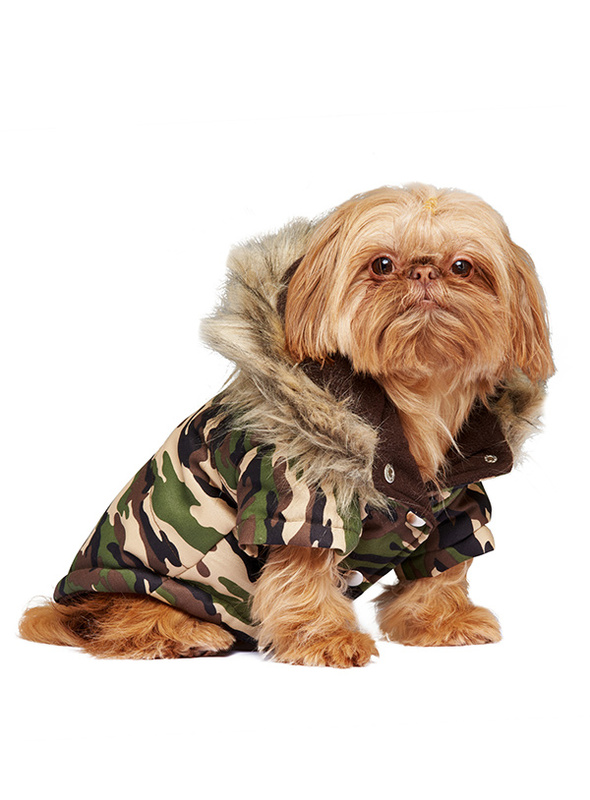 Our classic collection of camouflage coats and accessories will see your dog through the season ahead and beyond. It is fleece lined and finished with a generous faux fur trimmed hood elasticated cuffs and a drawstring hem.